Over $50 million for bicycle and pedestrian facilities and education funding was awarded by the Texas Transportation Commission (TTC) to cities all over Texas on July 29th! The bike/ped portion represented 42 of 54 projects awarded Federal Transportation Enhancement Program funds. Texas Bicycle Coalition staff and members played a leading role in saving over $75 million in Transportation Enhancements (TE) and the program. Cyclists rallied to the calls for action and sent scores of hand-delivered letters to TxDOT Commissioners. The latest news from TxDOT on TE can be found at: www.dot.state.tx.us/news/006-2007.htm. Our combined efforts have saved TE from further cuts. Prior to the last rescission announcement from FHWA, the TxDOT Commission had said all of the remaining TE funds would be used toward future rescissions. We really appreciate the assistance that Rails to Trails Conservance and the Enhancements Clearinghouse have given Texas Bicycle Coalition in our fight to save Transportation Enhancements. It has been very gratifying to work with the Texas Downtown Assocation, Downtown Austin Alliance, and many of the other organizations that have stepped up to save Enhancements from further cuts. * In addition to the research, Texas Bicycle Coalition also recently met with 30 members of the U.S. Congress representing Texas in Washington D.C. regarding Enhancements last week. * Texas Bicycle Coalition has sent multiple action alerts and have generated scores of letters that were hand-delivered to the TxDOT Commissioners and to members of Congress. * Texas Bicycle Coalition has testified and/or generated attendance at almost every TxDOT Commission hearing since the rescissions were announced in November 2006. * Texas Bicycle Coalition has helped form a coalition that includes preservation, historic, and economic development organizations to resist the Enhancement cuts. * Texas Bicycle Coalition met with both the State House and Transportation Committee Chairs on the issue (Representative Krusee and Senator Corona). The Senate Committee then passed a resolution rebuking TxDOT. * Texas Bicycle Coalition has worked with the National Enhancements Clearinghouse and Environmental Defense Fund to get advice and assistance on strategy and research. On November 20, 2006, the Texas Department of Transportation’s Commissioner, Ric Williamson, sent a letter to communities around the state advising them that the current call for enhancements projects had been rescinded, a surprise and disappointment to communities across the state. The decision “de-funded” the major source of bicycle trail funding for a large number of Texas cities and communities. In order to reverse this decision, cities, counties, associations, organizations, elected officials and citizens across the state will need to contact the TxDOT Commissioners and voice their disapproval. FHWA has rescinded approximately 2% of the SafeTEA-Lu funding to the states. Most state DOT’s are taking their cuts across the board – from all of the eligible transportation categories. The TxDOT Commission has chosen instead to eliminate the major source of funding for bicycle trails and other enhancement categories. According to TxDOT staff, approximately $230 million has been taken from the Enhancements program in response to the federal rescissions. Future enhancement project funding in Texas is essentially eliminated until the 2009 transportation bill. The location of the remaining balance from the $305 million rescission is unknown. A list of the projects submitted under the November 2005 call for Enhancements applications, also referred to as STEP (Surface Transportation Enhancement Program) is provided. As it stands today, none of the projects listed will be funded. The letter from the Commissioner of TxDOT rescinding the call for Enhancements is also provided below. A letter that TxDOT sent out to California, North Carolina and apparently many other states appears to be a push poll to get other states to follow Texas’ lead in eliminating Enhancements. We understand that only Arkansas and Missisippi are following suit thus far; however, in the future, there may be a danger of other states following Texas’ lead if TxDOT is allowed to get away with it. 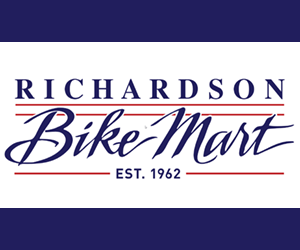 The Texas Bicycle Coalition has requested to speak with Chairman Williamson twice regarding Enhancements with no response. The TxDOT Commissioners will hold their monthly meeting on Thursday, December 14th. The enhancements issue is not currently on the agenda, but hopefully there will be an opportunity for the public to speak to this issue. This is an issue for countless types of organizations, not just the bicycle community. The general consensus is disapproval about the loss of enhancements from historic preservation to economic development. Texas Bicycle Coalition (TBC) staff has spoken with several federal congressional offices that are also unhappy with the decision. We have had some communication about this issue with key members of the state legislature and there may be additional support with them. Plans are in place to activate a grass roots campaign to reverse the decision to eliminate the rescission of Enhancements this week. The intent of Congress was to have an Enhancement program within STP in the transportation bill. This has been reaffirmed in each federal transportation bill since ISTEA. Enhancements fund bicycle trails which can get bicycles off the street and improve congestion. The bicycle trails can provide alternate routes to work and to transit points, helping to cut congestion. More trips by bicycle will help improve air quality. Bicycle trails via Enhancements can help supplement Safe Routes to School funding and help cut congestion by moving trips to bicycles from cars. Bicycle trails improve property values. The Texas legislature passed bicycle tourism trails legislation in 2005 to encourage TxDOT to foster the creation of bicycle routes and trails across the state. Enhancements are one of the best potential sources of funding for bicycle tourism trails. Bicycle trails are good for local economies by attracting tourists and helping cities retain creative class workers thereby attracting major employers. Funding bicycle trails and the other eligible enhancement activities helps to neutralize opposition to the transportation bill. Enhancements project calls were in November 2005 with the submission deadline in April 2006. Each enhancement application requires significant resources for cities and counties to complete, typically $10-15,000 each. By canceling the program after the time and effort put into submitting applications, applicants are disappointed and disturbed. It is imperative that applicants contact their legislators for relief and resolve. The community supporting those efforts should also become involved by writing to their legislators and voicing their concern. These actions will put pressure on congress to take away DOT discretion to choose where to make rescissions. We at Texas Bicycle Coalition are asking Texas cyclists along with their cities and communities to write respectful letters addressed to TxDOT Commissioners, requesting the reconsideration of the decision to rescind Enhancements. Fax or email your letters to us and we will hand deliver them to the TxDOT Commissioners and to your State Representative and State Senator. please include your return address. There are many reasons to support the effort to eliminate the decision for redirecting funds from the Enhancements projects that were meant to improve conditions in our communities. The improvements were not meant only for cyclists but for all residents. 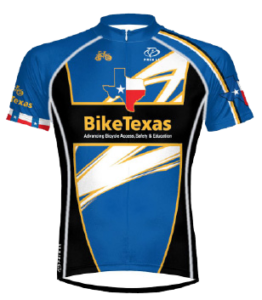 2) Join BikeTexas as a member to support our advocacy efforts.